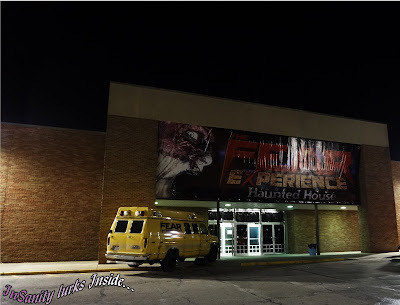 We were invited by Fear Experience to review their haunted attraction. 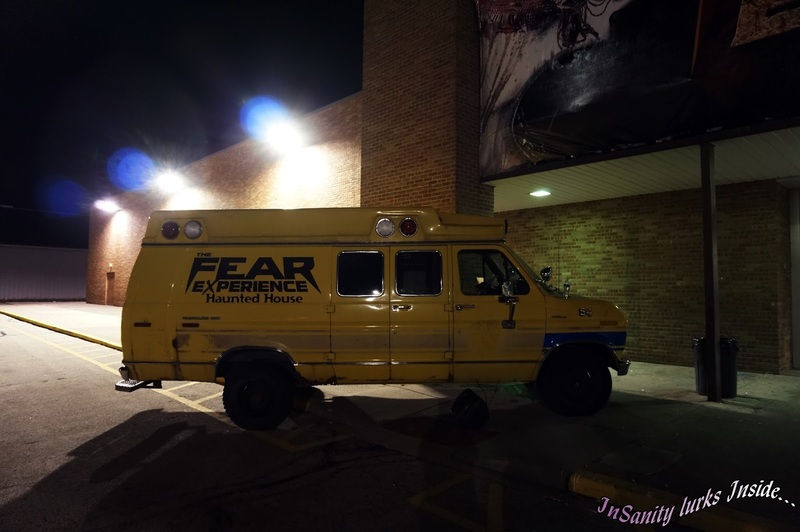 This has in no way swayed or altered our opinion of this or any haunt we visit. Honestly, I knew nothing of this attraction as it was one Kitsune had picked for a review. Before our visit I hadn't even heard of them before so I had no idea what to expect. Although I admit, I'm rather disappointed they aren't running for the final Halloween weekend. 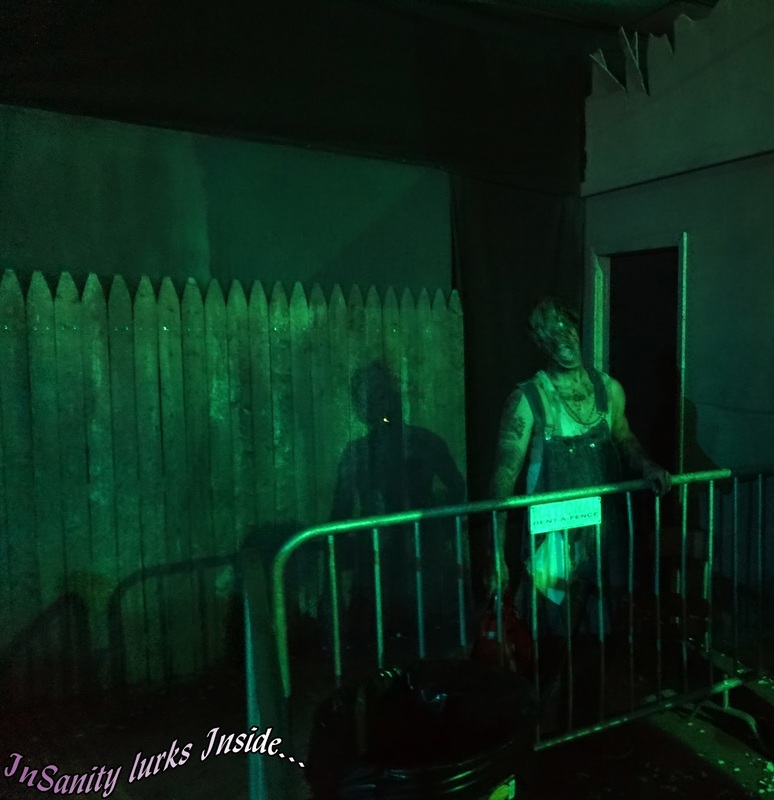 It's a pretty good haunt which could easily attract people for Halloween and the final weekend of Oct/Nov. Sadly though they mad the choice to close early, so you'll have to remember this for the next Halloween season. Fear Experience offers 4 haunted attractions located in Parma, Ohio. 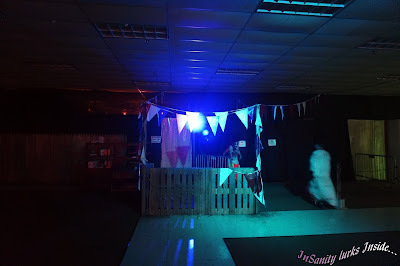 Hidden in once abandoned body of a big-box store, we found a fun and rather long haunted attraction. Each of the three haunts has a unique theme, while it's not amazing it's petty good and worth a visit. The first haunted house you visit during your tour is Braxton Estate- your quintessential Halloween haunted house. An abandoned manor house full of crazed folks, most of them out to either kill you or eat you. Outside they had several monstrous folks working the line, giving screams to many folks waiting. While the sets are beautiful, this area seemed a little low on actors. Granted it was the end of the night but I would really have liked to see more people. You'll travel through the houses rooms- Kitchens, Living Rooms, Bedrooms and Bathrooms all while twisting and turning on various pathways all heavy with fog. Again, more actors really would have stepped up the rating I gave this haunt. While the folks working on good, there just need to be more of them! Good things began in the very next house. Inside you'll find a crew of crazies who are now running the asylum. Unlike the previous haunt, this area was full of actors. All of them engaging and fun, as you travel though their rooms and wards. You'll have folks in you face, asking insane questions and trying to make you their next inmate. The themeing was pretty typical of a 'mental hospital' haunted attraction but the actors really worked with their spaces. From "Max" the inmate to the crazy guy lurking in the strobe lit body locker. Screams and lunacy await! As always, this area also has heavy use of fog and also strobe lights. Oh Boy- None of us knew what to expect with this. Most of us figured annoying clowns but that wasn't the case! A pleasant surprise, we got dumped into the middle of an old county fair gone to pot. Run down and mostly abandoned except for the Carnie people who refuse to leave. The sets in here are beautiful, you really get the feeling of walking through a county fair that's seen better days. Not overflowing with clowns, your going to find carnival barkers, game booth workers, freaks.. okay, 3 clowns total. A maze of twisting turns, you'll wind your way through the freak cages and into a red-white striped maze. All lead but a freakishly happy clown who swears she knows the way.. but will lead you wrong. Don't trust her! While this area does use heavy fog, I liked how they employed strobe lights. A multicolored strobe effect is used which doesn't blind you and gives you a nice sense of 'acid trip gone horribly wrong'. The actors inside really make this haunt, it's full of them and each one seemed to really be enjoying their job of making people scream. 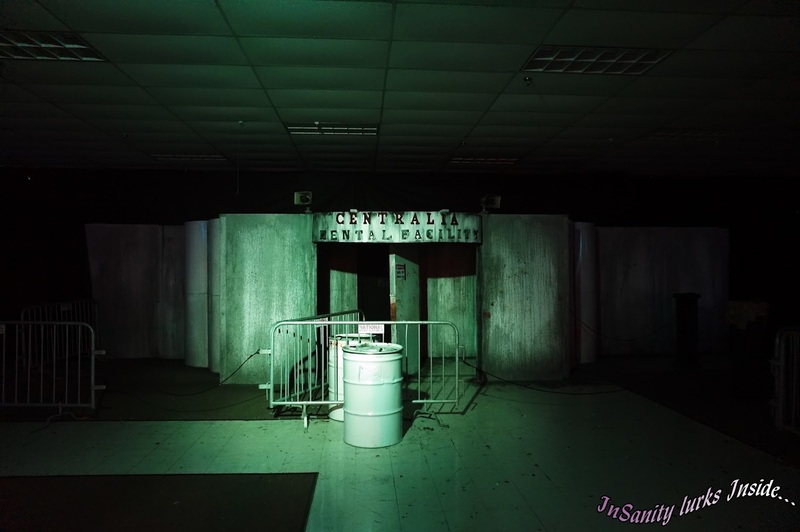 Continuing on at the end of your County Fair tour, you'll enter the back of the building's area. The store room which has been turned into 'District 13'. You'll twist your way through a maze of chain-link fencing and strobe lights. While I think this area would be a lot better with more actors, we only saw two people in the whole area making it kind of a let down after two very good haunts before it. Not much on themeing, it doesn't need to be. A good use of space, you get turned around and disoriented rather quickly. Again, it just needs more actors to really get the screams going in this area. Overall, we rather enjoyed Fear Experience, it's got beautiful sets and a good story but it does need some work. Mostly my only complaint is that it really needs a lot more actors, just that alone would be enough to bump this haunted attractions rating from "good" to "very good". The only other thing I could say is that they really should be open for Halloween and the last weekend. I'd suggest you check it out if you in the area. It's worth a visit and you'll probably get some good screams!